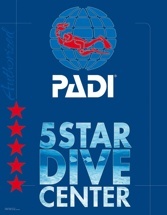 The Holladay shop has started carrying the new Scubapro Meridian Dive computer. This is both a stylish watch and fully functional dive computer. It has all the bells and whistles you would expect from Scubapro including an optional heart rate monitor to sense your work rate and adjusts the decompression algorithm. It is housed in the highest marine grade stainless steel with two-toned brushed finishing for heavy duty longevity with designer looks. The Holladay shop has put together a true travelling diver's package! We start with the Scubapro GO BCD. The GO has light and snag resistant material to reduce the overall weight of the jacket. It is still weight integrated but has an Air-Net ergonomic backpack that is lightweight and soft enough to be allowed to fold up for easy of travel. It has the Air 2 instead of a regular inflator so the regular can have one less hose. The regulator is the Scubapro MK11-C300 that is perfect for travel with a lighter weight first stage. We add a basic pressure gauge and then the Scubapro Meridian watch-style computer to keep track of depth, time and remaining bottom time. Since the main components are all Scubapro, this qualifies for the Scubapro Parts for Life Warranty that will save you hundreds on parts during the life of your regulator. Come down and dive it in the pool today! The Holladay shop has started carrying the Scubapro Galileo Luna computer. We have written about this in the past. With a dot matrix screen, customized readout and full tilt digital compass, it was high on the "wow" factor. The only issue was the price. Scubapro has come around and dropped the price to $999. It is now equal in price or just below many of the leading competitors' air-integrated hose-less computers. Come down and try out coolness on your wrist!! Check out the Liquivision Xeo. It features a customizable full color OLED display with huge fonts makes it easy to read under all conditions. It has Air, Nitrox, Trimix and CCR capability to serve divers of all levels. Liquivision has a patented tap-interface makes it simple to navigate with intuitive menus and patent-pending robust ceramic pressure sensor for superior reliability. Retailing at only $999, it is the most affordable OLED dive computer on the market. Hollis is the leader in sidemount gear. The new SMS 100 Sidemount System is the best way to dive double tanks sidemounted or a single tank traditionally mounted. Stop by and ask about Intro to Tec seminars and you can have a chance to dive this system in the pool. Knowing what gas is in your tank can literally be the difference between life and death. The Oxycheq Expedition O2 Analyzer is simple to use and will take any doubts about what's in your cylinder. Getting more advanced? Check out their Expedition Helium Analyzer. Akona has come up with a really cool regulator bag. One side zips open and it will expand into a mesh duffle. This is great to carry on your regulator to the plane and then have a bag for carrying gear from your resort to the dive boat. The Holladay shop has also introduced a new Travelers Package from Aeris. $999 gets you a weight integrated BCD, full regulator set and dive computer. Beats the heck out of renting and with a Nitrox programmable computer. SCUBAPRO's polished-chrome A700 second stage harkens back to diving's glory days. Air-balanced valve technology, precision user controls and an oversize exhaust valve all help create a first-rate breather. The Mk 25 first stage is a balanced piston design with five low-pressure ports mounted on a swivel turret. This reg delivered stellar performance on the breathing machine. In fact, the more you stress the Mk25, the better it behaves. In the water it's smooth and very dry in all positions, and exhalation is effortless. The VIVA dive/predive switch is well marked and does a good job of preventing free-flows.